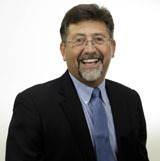 Charlie Kesmodel is the PWSC Midwest Regional Sales Director. He has been with PWSC for more twenty years and has been working one-on-one with builder and warranty sales in the new home industry for more than 25 years. With an active role in several home builders’ associations, he enjoys surrounding himself with the great people of this incredibly vibrant and exciting industry. In his free time, Charlie enjoys golf, fishing and water sports. He resides in Noblesville, Indiana with his wife Ann and two daughters, Katie and Lauren.